That’s not the result we all wanted. Record bidding wonder mare Treve beaten. A rather disappointing fourth place – it ends the career of the two-times Arc champion on a slightly sour note – given the immense hype in the build-up to the race. Her scintillating turn of foot – not there. Instead she looked a tricky ride and Thierry Jarnet never comfortable. The French jockey has been slated in some corners for this ride on Sunday afternoon. Rightly so, to an extend at least. He wasn’t aware of the pace scenario and the fact that the quick ground can make all the difference to bring back classy contenders who are up with the speed. On the other hand he rode Treve exactly the same way as he did when she was so utterly impressive in the 2013 Arc. With the difference that this time she didn’t make ground on the outside in the same impressive way as she did back then. She looked a tricky ride for Jarnet in the closing stages too. He could never get her organised for a big finish. Maybe she peaked a couple of weeks too early? Remember her stunning performance in the Prix Vermeille weeks before. Maybe it was the ground though. On the quick side of good, which seemed to inconvenience her in the past, seemingly didn’t suit on Sunday yet again. But: she remains a two time Arc winner. A fantastic mare, one we’ll remember for a long time. An all-time great? Who knows. Let’s put away with this rubbish of comparing horses from different generations with the purpose to establish who is great and who isn’t. Treve has been a brilliant race horse. That is what matters and that is the way we shall remember her. What a brilliant ride by Frankie, wasn’t it? He may not be quite as strong in the saddle as he used to be 15 years ago, but his brain works as well as ever. It was pure genius to mitigate the obvious disadvantages of Golden Horn’s wide draw; moving forward right away, on the far outside of the field. He avoided any hassle, kept the colt relaxed, got right to the top of the field without any problems and only seconds after the race started Golden Horn was suddenly in the best possible position. The fast ground clearly helped him to float over the grass easily and effortless. The pace was good, kept him at ease, interested, but wasn’t too quick either. We know Golden Horn stays, and after the first quarter of the race I said to myself: he’ll be hard to peg back once he kicks on in the home straight. That’s exactly what happened. The conditions clearly helped Golden Horn but it also helps if you’re the best horse in the race, I guess. Credit where credit is due: John Gosden has done a phenomenal job with Golden Horn. He kept him well and fit throughout the season, campaigned him bravely and didn’t duck away from challenges. 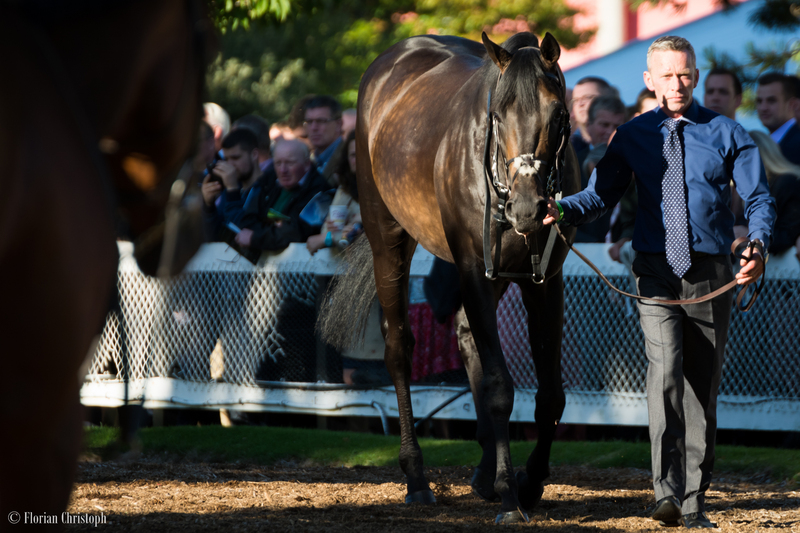 Now a Derby, Eclipse, Irish Champion Stakes and Arc winner – Golden Horn deserves the tag of a superstar. Next stop Breeders Cup?